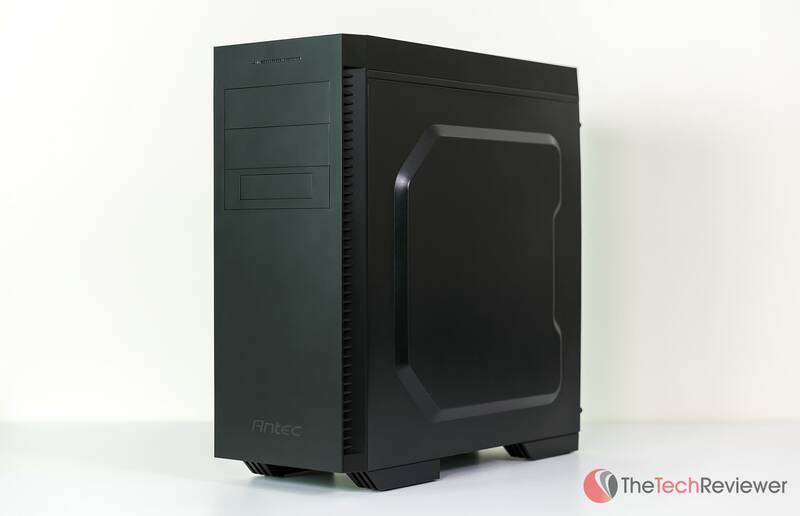 Antec P70 Computer Case Review - Worth The Price? 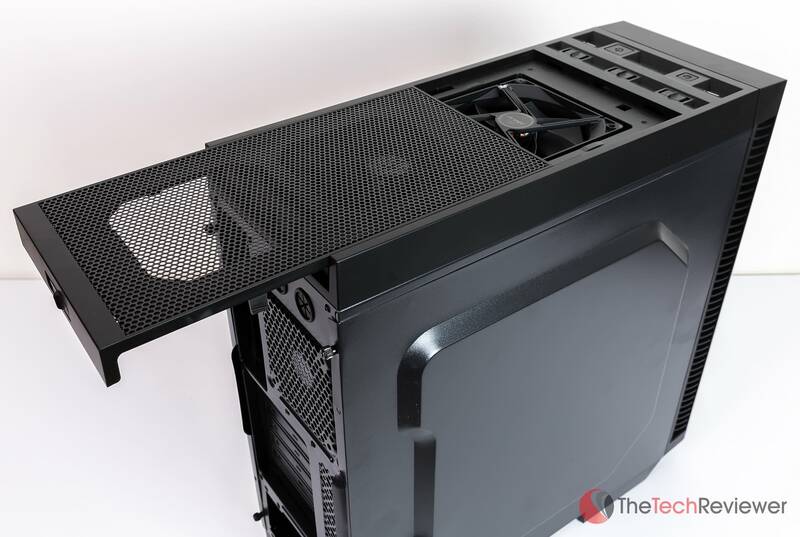 Antec's P70 computer case is a budget-friendly option with a solid feature set. Antec has been a manufacturer of PC components since 1986, and their line of computer enclosures are some of the most popular options on the market. In today's review, we are going to take a look at their P70 model that retails at a budget-friendly $70 price point. Antec was kind enough to supply us with a sample to make this evaluation possible. Rest assured, this is our honest assessment of the product, and no outside influences or bias have played any part in the review process. From a design standpoint, the P70 looks similar to many of their other cases offering a simple design that is relatively pleasing to the eye without drawing too much attention. 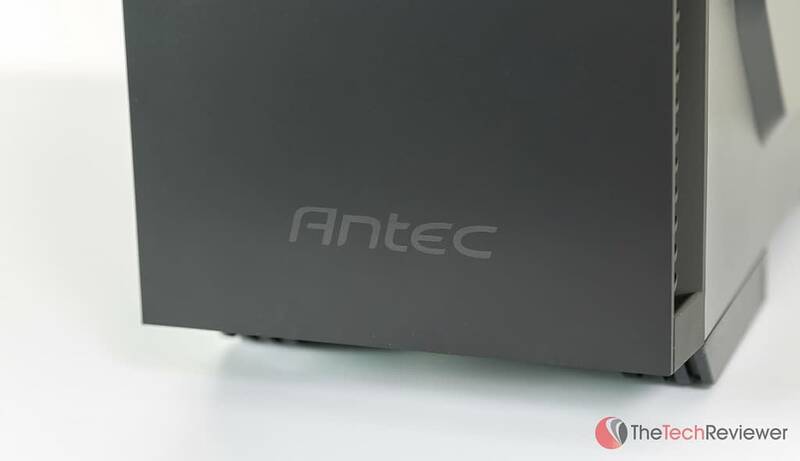 This mid-towel model is only offered in a matte black, and the only visible branding is a subtle Antec logo located on the front of the case. The top and front components are comprised of plastic whereas the removable sides and internal framework offer a more durable aluminum. I am not impressed by the choice of build materials, but for $70 they are sufficient. 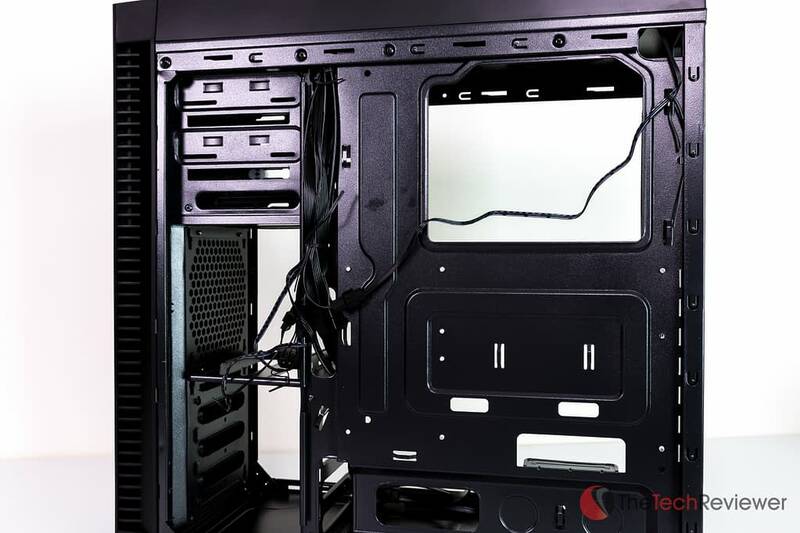 If build quality is a big concern in your search for a computer case, then you are better off skipping the P70, increasing your budget and going with a more high-end model. From the front exterior of the case, you get access to three bays for optical drives or media card readers. 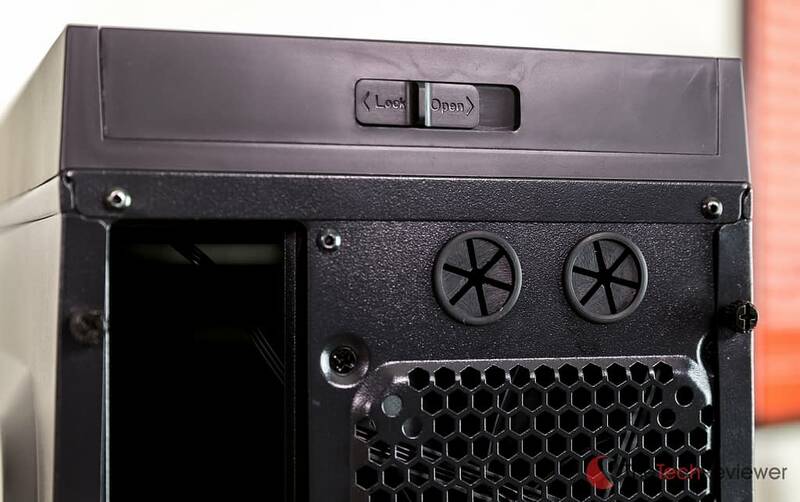 Moving to the top, you'll find your standard power/reset buttons, two USB 3.0 ports, separate audio in/out jacks and three fan control switches. Antec ships the P70 with three 120mm fans already installed within the case (two on the top and one in the back). 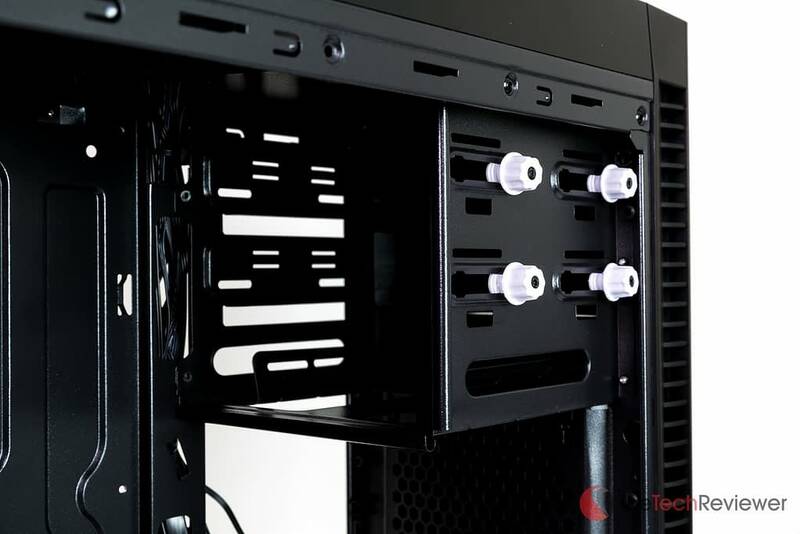 You also have the ability to add two more (sold separately) to the front of the case should you need some extra cooling. Unlike some of Antec's other cases, the P70 doesn't include any internal lights for cosmetic purposes and both of the removable sides have no transparency. While this isn't a big deal to me, I know many PC builders desire a flashy case that shows off and draws attention to their PC's internal components. From my experience, the power and reset buttons are well designed with a satisfying, tactile feel when pressed. The three fan controls are appreciated as they are convenient to access and not hidden away like many other competing cases. My only gripe with the top layout is that I wish the USB and audio ports were placed on the front panel versus the top. While I'm being a bit picky, I find it easier to locate these ports as I'm someone who prefers their PC sitting on the desk itself instead of on the floor. At this angle, it can be difficult to locate the ports successfully without getting out of my chair and into a standing position so I can get a better view of the top of the case. Both side panels are removable without the need for any tools and provide quick access to the interior of the case. While I prefer the expansive room that comes with a full-tower case, I think the amount of room in P70 is reasonable for a mid-tower. It has enough space to support Mini-ITX, Micro ATX, and standard ATX motherboards, as well as ample room for video cards up to 15″ in length. As for data drives, the P70 has an integrated SSD bay as well as room for four standard 3.5″ desktop drives. 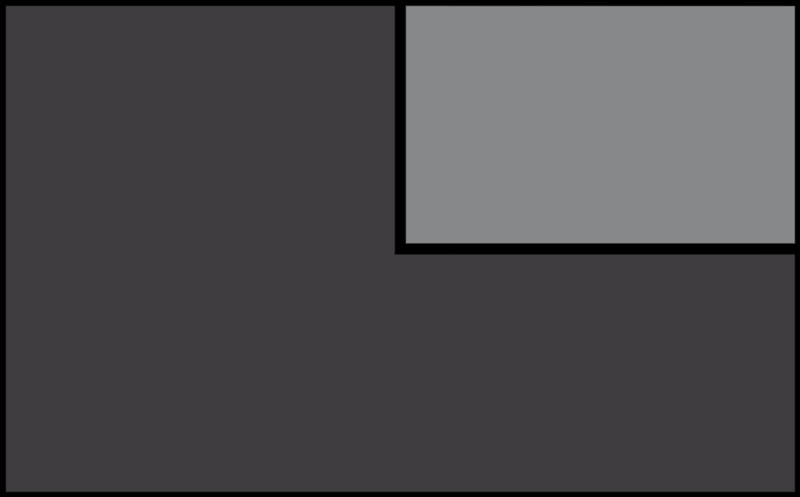 Once both the side panels are removed, you have a lot of space to work with in regards to cable management. Those of you who are highly organized (I don't fall into this category) will appreciate the ability to install your components in the cleanest way possible. Antec included their ‘Quiet Computing' feature within the P70 to help keep the operating sound to a minimum. They achieved this by utilizing sound dampening materials within the side panels as well as side air intake vents to reduce direct system noise. The case ships with a removable top panel that is used to block sound from the top two fans. I chose not to use it as I didn't find it necessary, but the option to do so was appreciated. 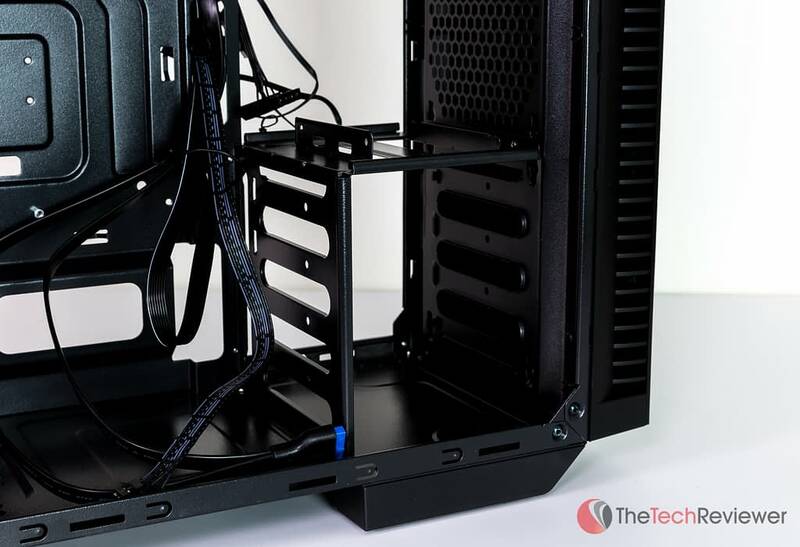 Antec's P70 case is a reasonable option for PC builders who are working with a limited budget. 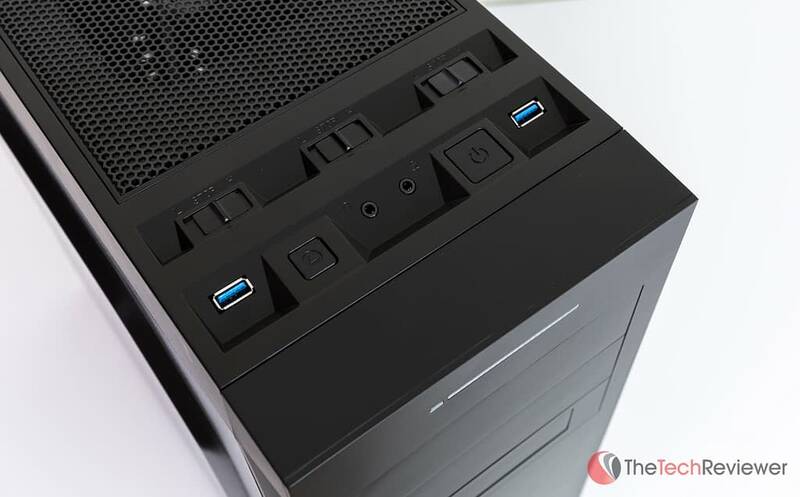 At the lower end of the case market, the P70 suffers from what you'd expect: mediocre build quality, lack of any stand-out features, plain/dull appearance, and space constraints in comparison to a more high-end full tower case. With that being said, the $70 price-point makes it a valuable option for anyone with a small to medium PC build that doesn't mind some sacrifices in exchange for monetary savings. Hello Colt, I was looking for this type of blog from which I got to know about computer accessories….when I read the articles of this blog I was very much surprised as it gives helpful information…thanks!!!!!!! I have this case and have what might seem like a silly question related to the fans. 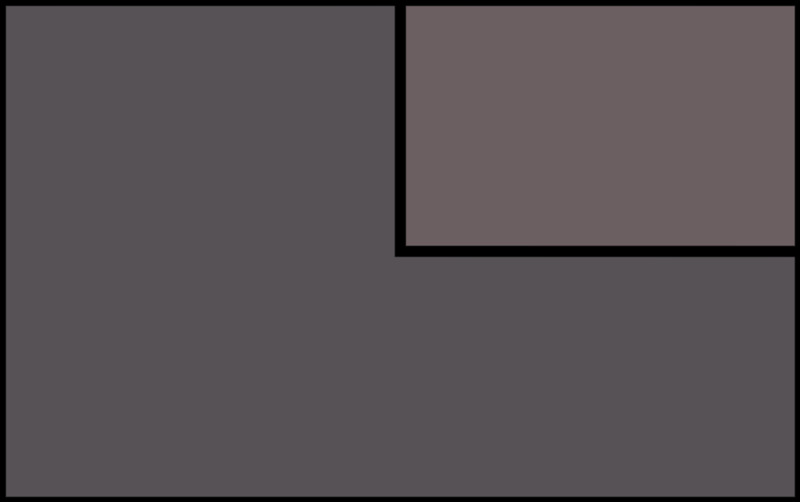 When the computer is in sleep mode, I am confused about whether or not I should keep the fans running. Additionally, yesterday I had the computer in use for quite awhile and forgot to turn on the fans. By the end of night the tower was HOT and I felt like a royal dumbass. I need to remember to pay attention to the fan settings every time I use the computer. It seems like a weird extra step to have to consider now. Any advice? You can answer as though I understand very little.